Select Attach > Browse cloud locations. Type the @ symbol and the first few letters of a contact's first or last name. Choose a contact from the list. 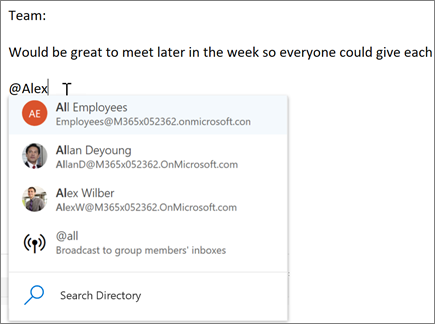 This adds the contact to the To line of the email message or meeting invitation. 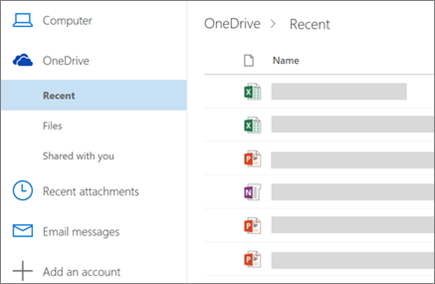 Note: @mentions are only available for Exchange Server 2016, Exchange Online, or Outlook.com users.